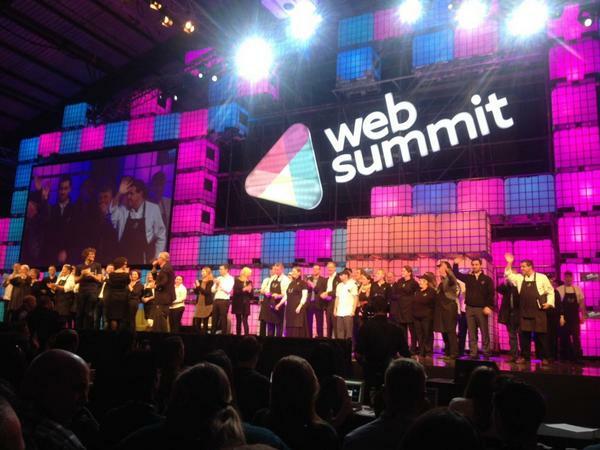 22,000 attendees from 109 countries descended on Dublin this week for the Web Summit. The four-year-old gathering of geeks is now being hailed as the “Davos for Geeks” and one of the industry’s Must Attends. This latest summit drew 614 speakers (including Peter Thiel and Bono), 2,160 start-ups exhibiting for 700 investors, and 1324 members of the press. New York was well represented and it was fairly obvious: over the course of the three-day conference, 82,000 cups of coffee were consumed. Maybe a bit of Guinness and Jameson, too, but who’s counting? Please note that this photo does not contain all 22,000 attendees.